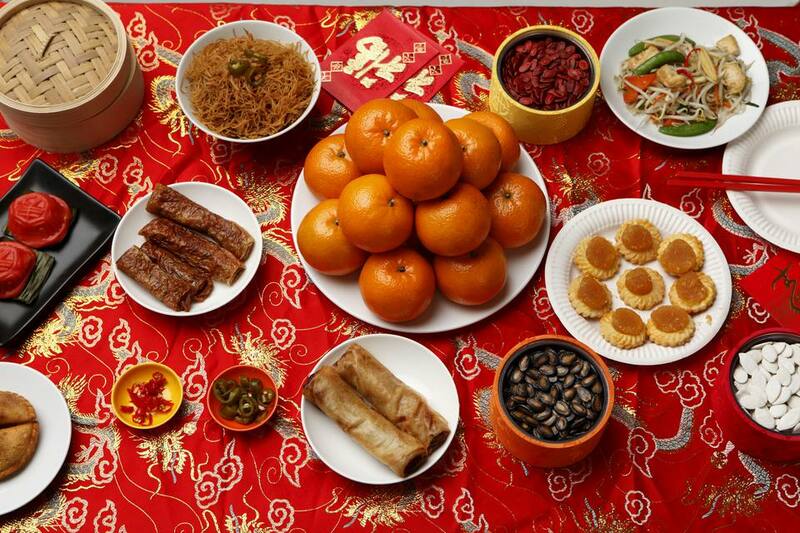 So you're invited over to someone's home to celebrate Chinese New Year. Either on the mainland or in Berlin, Chinese and non-Chinese will be celebrating the Lunar New Year. And why not? Plenty of Western holidays (Christmas, Valentine's Day) are exported, why not have fun with Chinese New Year wherever you are. It's a great excuse for a party. There don't seem to be any fixed traditional items that you should or would be expected to bring (unless there are kids involved, see "Hong Bao" below). The main idea about Chinese New Year in Mainland China is about getting together with family. It's like Thanksgiving in the US or Christmas in Europe. You travel long distances to overeat, over-drink, stay up too late, argue with your parents, etc. It's a worldwide routine. The main focus is on food. Chinese families will prepare their new year meal for many days. So think food and drink and the color red. Like I said – food and drink. It doesn't have to be fancy, but of course, a little extra effort is always nice and appreciated. It is nicer to present things in a gift box. You may be able to buy pre-packaged items in a gift box but you can do it yourself with some red paper and gold trimmings. Alcohol - If your hosts drink alcohol, find out what they like. They'll appreciate a nice bottle of whatever it is. Tea - Chinese people love tea. Even if you’re hosts aren’t Chinese, this will be a nice gesture. Loose tea is better than bagged tea for gifts (and please, no Lipton Yellow tea bags). Sweets - Who doesn't appreciate sweets? You can even bake something yourself or buy something nice to share or pass around. If your hosts are Chinese, then they might appreciate something that lasts for several days as they'll have a lot of visitors over the next weeks and they'll be able to share the nice treats with visitors. Fruit - The fruit basket is a ubiquitous symbol of Chinese New Year around the streets of Shanghai at least. But one local told me that if she's going to a good friend's she doesn't bother with the basket as she (and the friend) will suspect the fruit at the bottom is no good. Yet, a fruit basket looks beautiful so I still go for this one. You can buy the components yourself and put them together with a red ribbon. Fancy imported exotic fruit will look more impressive, but I've seen folks taking a large bunch of bananas or a box of oranges to friends' houses as well. Flowers - Cut flowers aren't normally a traditional gift for hosts in China but abroad they are. However, during Spring Festival (Chinese New Year) the flower markets are bursting with special arrangements for the season. Small orange or kumquat trees are very traditional as are flowering plum and other shrubs. Lucky bamboo is always nice and orchids are also very popular. Check out any flower market or shop and you'll be able to find something large or small. If it's the Year of the Tiger, maybe you could find some tiger lilies to bring. Your hosts will appreciate the pun. If kids, then Hong Bao - If your hosts are Chinese and if they have children, then you absolutely must bring Hong Bao (literally "red envelopes"). OK, I'm overstating it but if you're not in China and you do this, your Chinese hosts will be blown away that you know about this tradition. If you're in China, then it is really a traditional gesture that will go along way with your hosts.